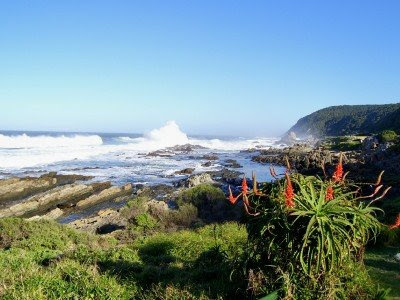 I have never had the pleasure or privilege to explore the Wild Coast and its very high on my "To Do" list. 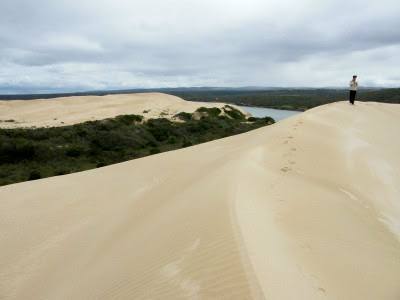 The Mini vs Maxi trip gave me to opportunity to discover Morgan Bay in the southern part of the Wild Coast. The little hamlet (cause you can't quite call it a village) of Margan Bay lies next to a beautiful stretch of beach with a lagoon on the one side and rolling grass hills ending in cliffs leading down to the ocean on the other. 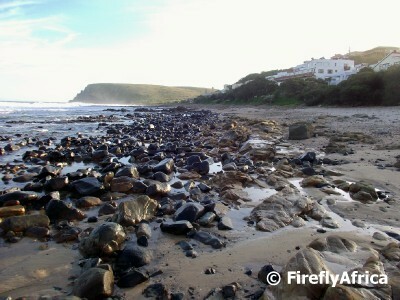 Morgan Bay was named in 1822 after A.F. Morgan, who was master of the royal naval survey ship, Barracouta. The Barracouta was one of a number of ships on expedition, sent out by the British Admiralty to survey the coast south of Maputo. 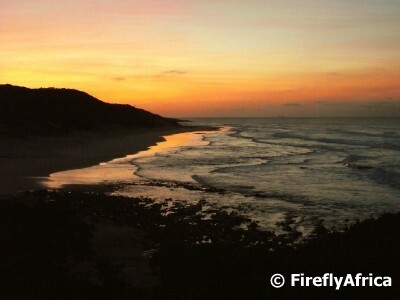 In the early 1900's the area became a popular holiday destination for Eastern Cape farmers who used to head down there on their wagons to camp by the sea. Our base for the night in Morgan Bay was the charming and very homely Morgan Bay Hotel, perched on the coastline with magnificent views up and down the coast. The hotel is still a real family hotel that are run by Richard and Jackie Warren-Smith. Richard's grandfather built the hotel in 1946 and currently Richard is doing some major renovations and additions to the hotel. The hotel's rooms are spacious and with views of the Indian Ocean like the one above it is the ideal family holiday destination. The hotel caters for everyone and even has a separate children's dining room and kids' TV lounge, but with the magnificent beach and lagoon close by, who wants to sit and watch television all day? 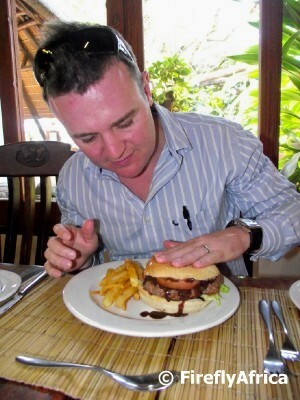 ... and then there is the ultimate hamburger. 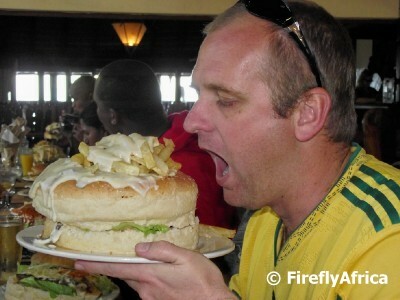 The Godzilla of hamburgers, the Mount Everest of hamburgers, the type of hamburger that can feed whole villages. Yes, the one I'm trying to figure out how I will be able to get in my mouth. But just like with eating an elephant you do it one bite at a time, until you are so stuffed you can't but help to fly the white flag of defeat. Just to explain. 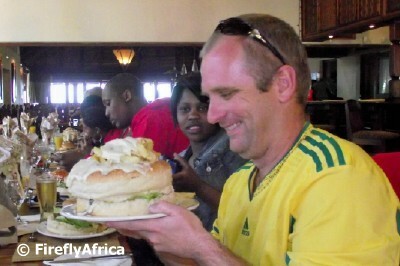 Wednesday night burger nights at Inkwenkwezi Game Reserve outside East London has become an institution over the last 10 or so years and people go there in numbers every week to try and finish these gigantic burgers. Those with a really big (and I mean BIG) appetite can take Inkwenkwezi up on their challenge of finishing two of these along with its chips and trimmings within an hour and will win for themselves 24 cases of beer. I couldn't finish one, so it explains how only three guys have ever succeeded in this challenge. 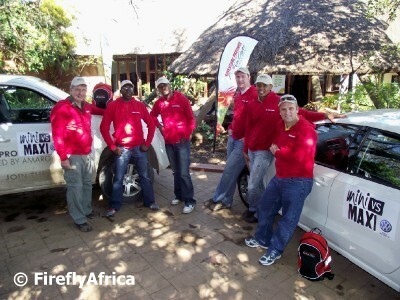 In the run up to the Mini vs Maxi Adventure across the Eastern Cape I did tell you all about what the purpose behind the trip (here and here)was about, but now that it has taken place and I have the photos available I just want to introduce you to the people and the vehicles that took part. The Mini vs Maxi mainly referred to the two vehicles that were used by the two teams. 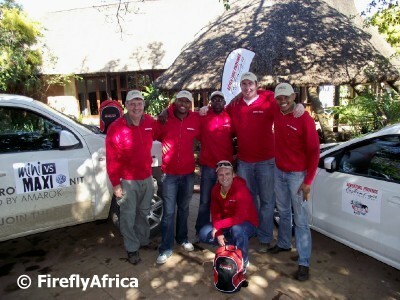 Team Maxi drove around in a double cab VW Amarok while we, Team Mini, had a very comfortable 1.6 VW Polo. 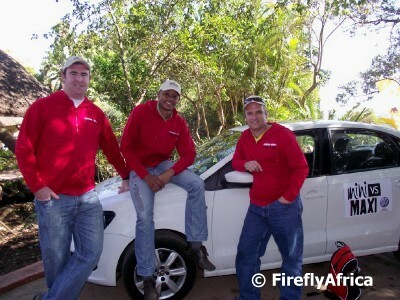 Team Mini was made up of, from left to right, Neil Lyon (Travel through the Eastern Cape), Sisa ka Jikeka (Eastern Cape Parks and Tourism Agency) and Jonker Fourie - thats me. 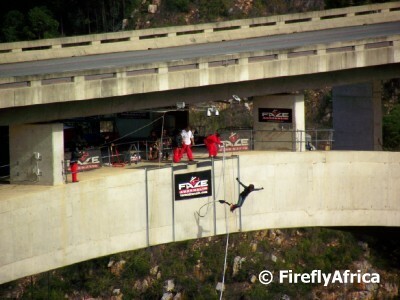 Team Maxi, who's activities included bungy jumping at Bloukrans River Bridge, consisted of Max Hoppe (The Max Files), Songezo Dibela (Eastern Cape Parks and Tourism Agency) and Lindile Sifile (Daily Dispatch Journalist). 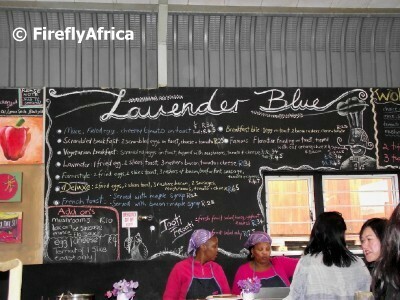 Day 3 of the Mini vs Maxi Adventure Across the Eastern Cape started with a hearty breakfast at the legendary Lavender Blue just outside East London for Team Mini. Farm style breakfasts with orange juice all around and us intrepid travellers and then we were ready to head towards Grahamstown for our next destination. 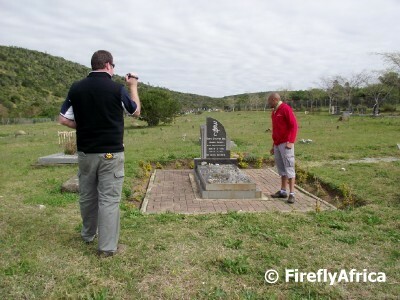 Driving through King William's Town we decided to incorporate some history and Xhose culture into our adventure trip and detoured to see the grave of Steve Biko just outside town. Neil and I was wondering why there were a large number of little stones on the grave and Sisa continued to explain to us, and the video camera capturing our trip, how its part of the process of sending a soul on to the hereafter. 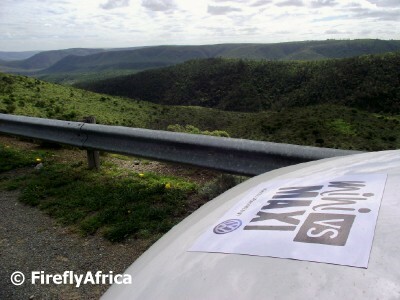 Team Mini made one more stop heading east, pulling our sponsored VW Polo over for a view of the Great Fish River. 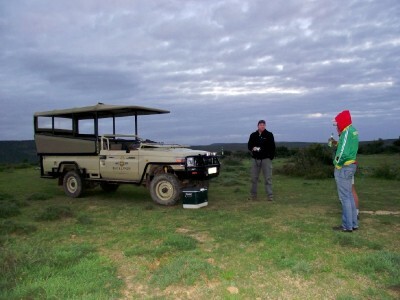 Our last destination of the trip was at Bucklands Game Private Reserve about 35 kilometers outside of Grahamstown for a couple of game drives, good food, comfortable accommodation as well as one or two other activities. 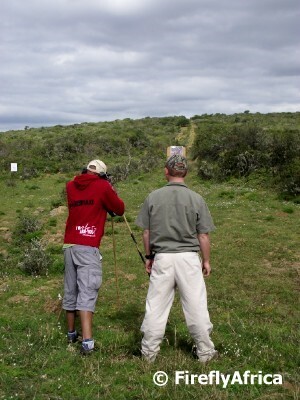 After our arrival we barely had time to put our bags down when we were whisked away for a firearm handling session. Although its not an activity that they offer guests, they decided to give us an extra adventure seeing that both Sisa and myself have never handled a rifle. 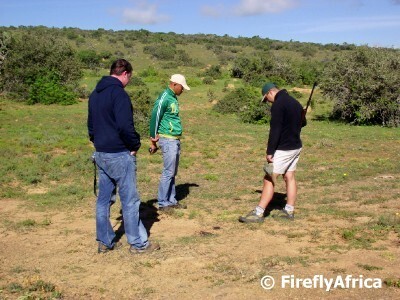 We were taken to the reserve's shooting range where we got to handle a pistol as well as two of the rifles used by rangers for conservation and during game walks. After shooting off a couple of rounds we went out on a game drive during which we had a number of stunning sightings, amongst others a couple of Aardwolfe after dark. 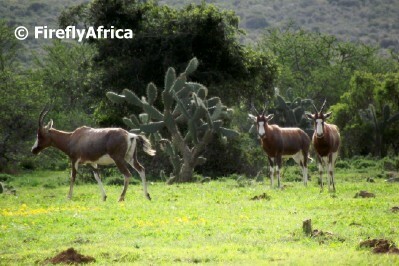 Other species included rhino, giraffe, zebra, kudu, impala and blesbuck (pictured above). One of the highlights of any afternoon / evening game drive is stopping somewhere with a good view to see a real African sunset with a couple of drinks in hand. 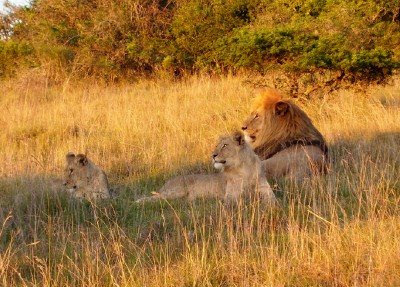 This game drive was no different. 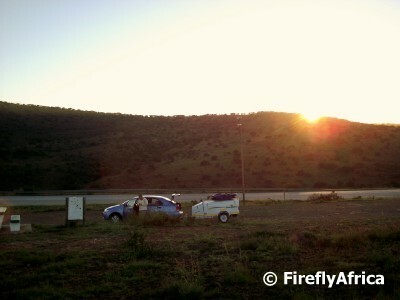 Day 4, our last day on the Mini vs Maxi trip, started with coffee and rusks before we headed out on an early morning game drive. 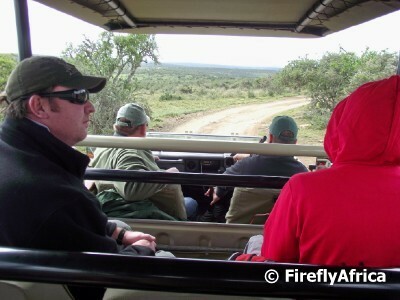 During the drive we had the fortunate opportunity to walk both giraffe as well as rhino. By walking I don't mean walk with tame animals. 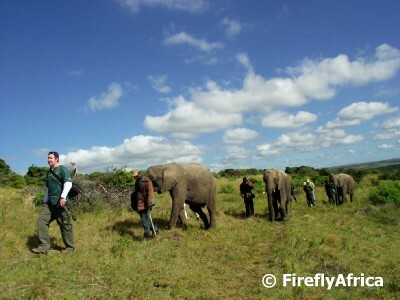 Walking an animal refers to disembarking a vehicle and approaching an animal in the veld or bush on foot. The drive was followed by a big late morning breakfast. 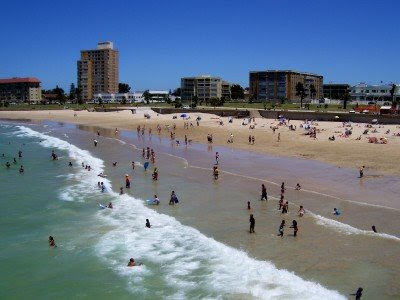 After saying our goodbyes we headed back to East London to drop of Sisa before Neil (who has James Blunt tickets in PE for Sunday night) and myself took on the road back to Port Elizabeth. 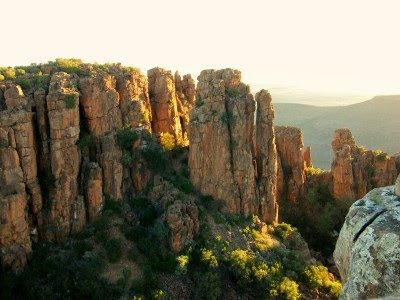 Over the four days of the trip I just did a basic recap and description of the places we visited and activities we did. Over the next few week I'm cover the activities we did in more detail and will also show of a number of the photos I have taken. 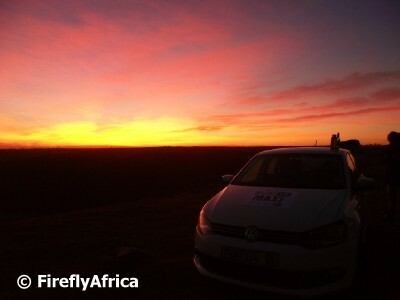 Day 2 of the Eastern Cape Parks and Tourism Agency's Mini vs Maxi Adventure across the Eastern Cape started with a beautiful sunrise in Morgan Bay for Team Mini. After a long day on Day 1 having left Port Elizabeth at 5am, I had a very good night's sleep and was ready get rolling after a hearty breakfast. 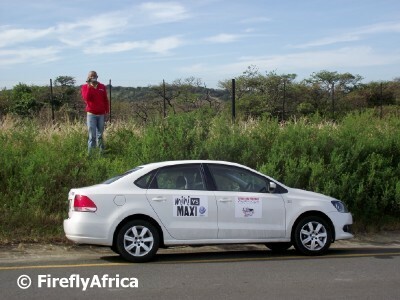 The first stop of the day was back at Inkwenkwezi Game Reserve outside East London where we had the maxi burgers on day 1. 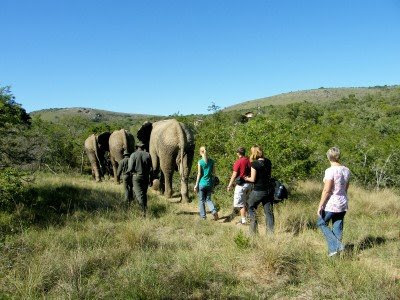 They had two activities planned for us, the first being a fantastic experience of walking with elephants. Its one thing viewing these magnificent animals from a game drive vehicle but its something totally different walking arms length away from them through the bush. It such a privilage to be so close to these giant creatures and being able to touch and interact with them while they are just mozying along. After our walk with the elephants we headed to Inkwenkwezi's cheetah enclosure. 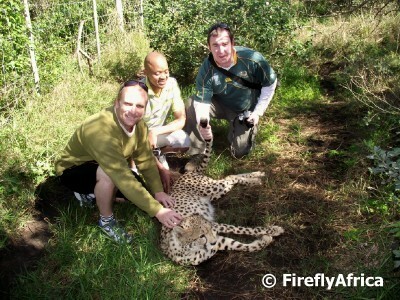 Here we had the awesome chance to get face to face with the fastest mammal in the world. When you walk into the enclosure you hear something that sounds like a growl, but you quickly find out that they are purring. The cats weren't at all bothered with us and allowed us to scratch them behind their ears and on their tummies. After a hearty lunch we hopped into the VW Polo and headed down the road to Arena Riverside Resort where we were kitted out in harnesses and helmets. 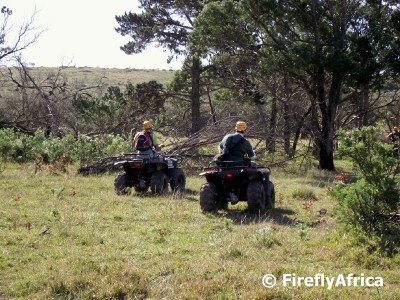 The first section of our visit involved a guided game drive on quad bikes during which we spotted a number of animals like zebra, giraffe and wildebeest. The ride, specially up and down the steep hills, was absolutely exhilarating, specially seeing that it was my first time on a big quad bike. 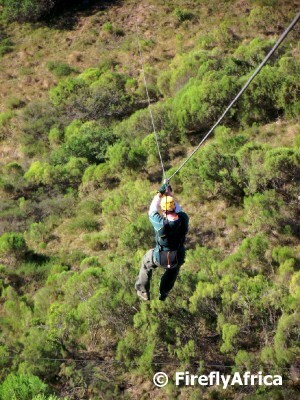 We received the fortunate opportunity to try out Arena's new zipline experience called AmaZing Zing. I say "fortunate opportunity" as they only officially open it on the first of September. So wê wê wê. It wasn't hard to see where the name comes from as the cable go ziiiiiinnnnngggggg as you fly down it. There are 10 slides although time only allowed us to do 4 of them. What an absolutely awesome experience. 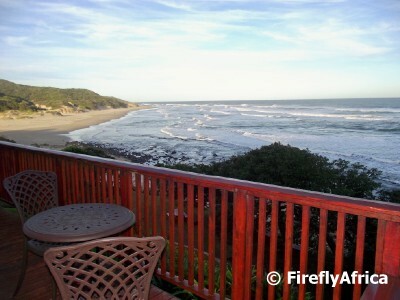 From Arena we headed to Stokkies and Skulpies Self Cottages at Sunrise on Sea where we are, as I'm writing this, having a braai while watching some rugby. A boys night in. 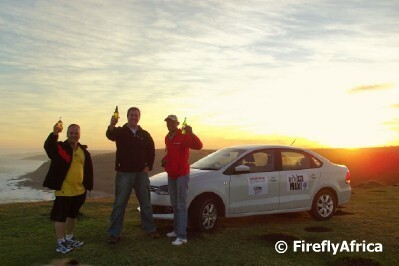 Thursday morning at 5am I left Port Elizabeth in Team Mini's sponsored VW Polo to join the rest of the participants in the Mini vs Maxi Adventure across the Eastern Cape at the offices of the Eastern Cape Parks and Tourism Agency for a briefing. 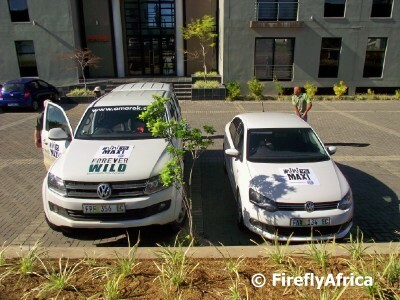 After receiving our info and prepping the cars with the necessary decals we headed to Inkwenkwezi Game Reserve for the officials launch function. 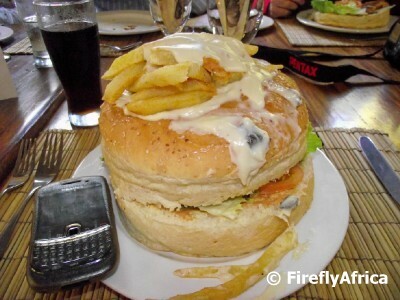 Inkwenkwezi also sponsored lunch which consisted of their famous Maxi Burgers which has become a regular Wednesday night feature on the East London restaurant scene over the years. Believe me these babies are biiiiiiiig. You start off well, then slow down and finally get to a point where you can't anymore. I finished the bottom section and the meat, but couldn't do the top. 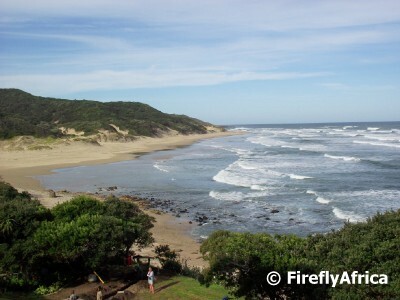 Team Mini's first destination was the Morgen Bay Hotel on the Wild Coast and unlike Team Maxi that had to go as far as Cape St Francis, we only had a short distance to cover which was done at a nice leisurely pace. 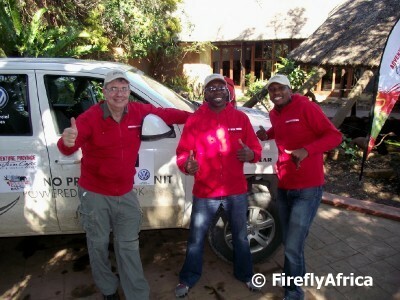 Each team has been given a video camera to document their trip and Sisa immediately volunteered to be our camera man. We stopped a couple of times for him to capture some footage and I am sure that he has missed his calling. 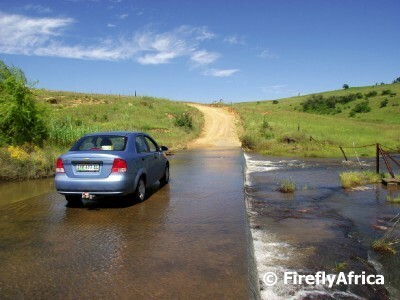 On the way down towards Morgan Bay we saw what must be one of the most unusual sights on the Wild Coast, if not in the whole province. 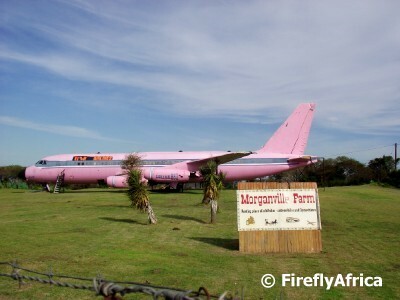 A huge pink plane next to the road. It stands at Morganville Farm which, as the sign states, is a resting place of old bikes, automobiles and flying machines. 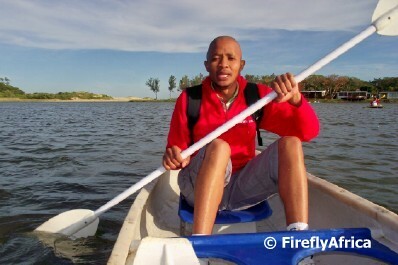 After checking into the Morgan Bay Hotel we headed down to the lagoon to try our hands at canoeing. Neil has paddled before, but it was a first time for both me and Sisa and I am proud to say that we had the art of paddling under the knee very quickly and there is already talk of a possibly Fish River Canoe Marathon (said very tongue in cheek). Paddling up the lagoon was a fantastic experience for these two canoe virgins who also got the opportunity to do some bird watching off the canoe and spotted, amongst others, a fish eagle. Neil, who knows the area well, suggested that we grabbed a couple of drinks and head up to the top of the Kranse (Cliffs) for sunset. 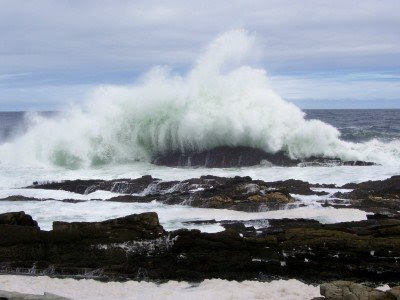 The Kranse is just to the west of Morgan Bay and is a large grassy hillside with cliffs leading down to the crashing ocean below. The perfect end to a great first day of what will hopefully be an unforgettable four days of adventuring through the Eastern Cape. On Thursday morning I'm heading to East London for the start of the Mini vs Maxi Adventure across the Eastern Cape which takes the form of a four day road trip around the province. Usually when we go on holiday as a family we also do it road trip style as we are campers and have to lug along everything in the trailer. I'm one of those who believe that the journey is as important as the destination, so setting off before sunrise to have more time to explore along the way is nothing strange. 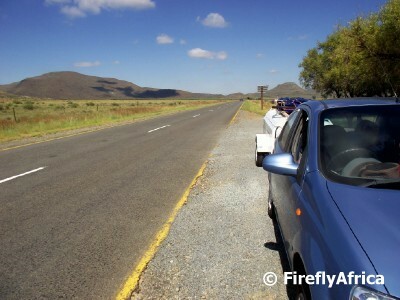 The kids have gotten used to me pulling over at every opportunity to take a photo of a nice landscape or something next to the road, as I did in this photo somewhere in the Karoo. 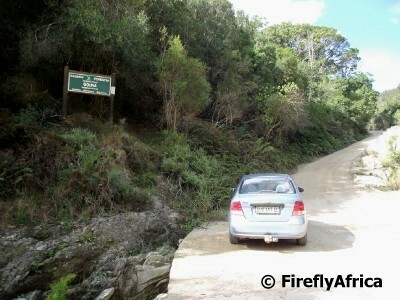 ... or dusty forest roads around Knysna. 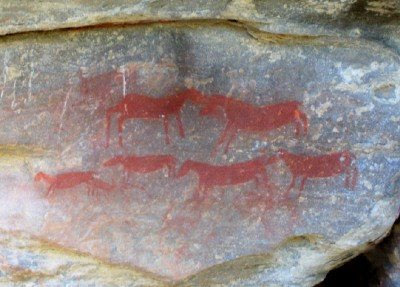 Very few people realise how much the Eastern Cape has to offer, not just in sights, adventures and attractions, but also in diversity. Although I have had the opportunity to explore big parts of my home province, I am starting to get very excited about the Mini vs Maxi Adventure across the Eastern Cape tour that is starting on Thursday. Although we haven't been told what to expect, I just know that the trip will take me to places I haven't been to and show me things I haven't see. Experiences that will bring me back with photos and memories to share with you. 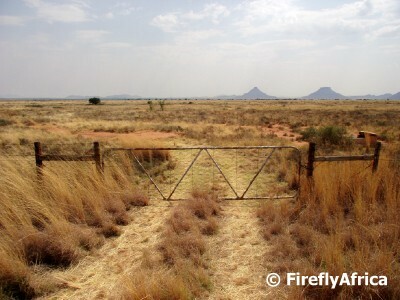 ... to the wide open spaces of the Karoo. 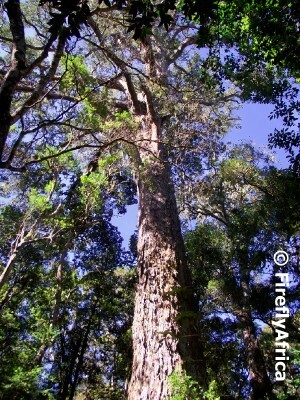 ... to zip lining over waterfalls and through forests. 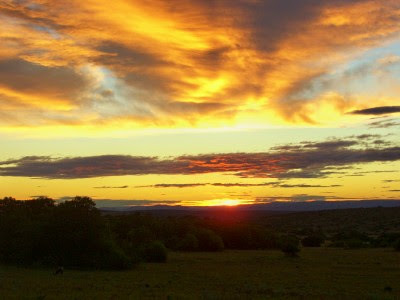 ...and experience a real African sunset. Suddenly I'm itching to get going. 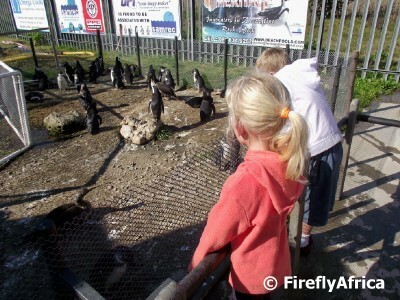 I have done a post about the South African Marine Rehabilitation and Education Centre (SAMREC) as well as one of their penguin releases before, but after visiting the centre with the Kidz recently I decided to show how an awesome family friendly attraction we have right here in Port Elizabeth. The first interesting feature you encounter is right by the entrance. 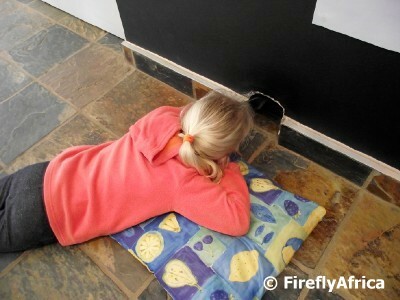 A mouse hole in the wall with a pillow in front of it to kneel down on. The inside of the hole comes as a surprised. A mouse house right from the pages of a children's book. The thought behind the mouse house is for it to act as a memorial to all mice that gave up their homes for the centre to be constructed in the Cape Recife Nature Reserve. 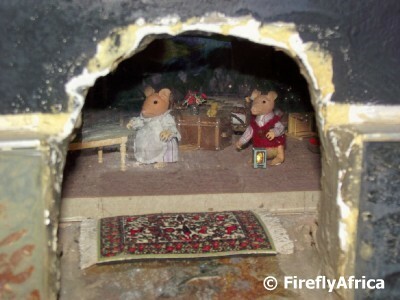 The fun part about the mouse house is that everybody wants to look, so you can quite easily come in the door and find a middle aged lady on her knees with her cheek to the ground peeking inside. The next room is an interactive room or as they refer to it, the "Please Touch" room. 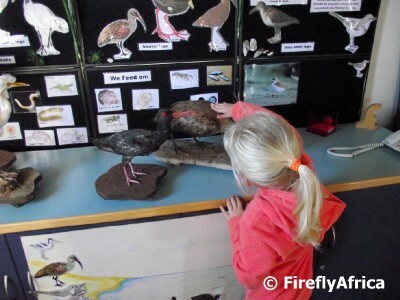 Here kids have the opportunity to touch various bird, marine, mammal and even snake specimens to feel what they feel like. I think Drama Princess enjoyed this part the most, but she still had to ask what something was and if it was alive before touching it. There were also various bottled specimens that tickled their attention. The room was so interesting that Chaos Boy actually asked if he could just stay there while we continued and although I dragged him on, he did return there afterwards. 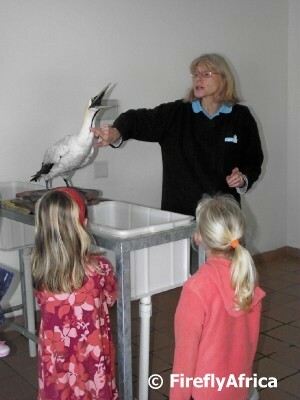 In the treatment room a SAMREC staff member explained how they treat injured and oiled penguins and gannets after they have been brought to the centre. The kids on the tour was even showed the penguin ICU, although you aren't allowed in there when there are penguin patients being cared for. In the next room they also demonstrate how the birds are tube fed during treatment. Once outside the Kidz got to see the penguins that are going through rehabilitation and treatment or that are awaiting release. A rock pool, which was being cleaned on our visit, makes it possible for visitors to see how penguins swim and interact in water. 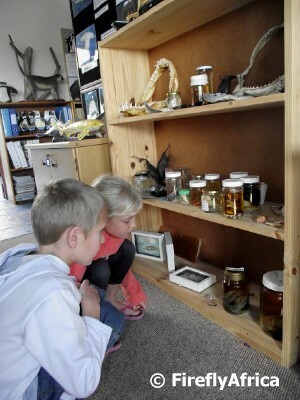 SAMREC does an awesome job both on the rehabilitation side, but also educating kids as well as as adults about penguins and other marine life. The centre also has a coffee shop for adults to sit and have a refreshment after the tour while the Kidz head back to the "please touch" room to explore some more. Mini vs Maxi - Are you up for it?